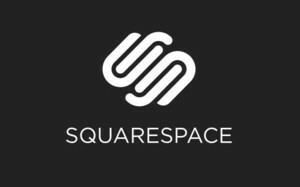 All-in-one website publishing platform Squarespace is to create 100 new jobs in Dublin. The New York City based company announced this morning that it would establish its EMEA Headquarters here, in a move supported by IDA Ireland. Squarespace is a website publishing platform that allows for the creation of blogs, web pages, stores, and galleries without the need for using programming code. The service provides hosting, content management, domain names, social integrations, e-commerce, and 24-hour customer support. The Squarespace operation in central Dublin will serve Squarespace customers around the globe and will include a variety of customer care roles. "The decision by Squarespace to base its headquarters in Dublin is a signal of Ireland's growing reputation as the Internet capital of Europe,” said Taoiseach Enda Kenny. Anthony Casalena, founder and chief executive of Squarespace said it chose Dublin as its first location outside of New York City over many others in Europe. “Dublin offers us a friendly, young, and talented workforce in a vibrant center city location. It’s the perfect choice for Squarespace,” he said.